Another common, and very important questions is “How do I keep the leaves and other debris out of my gutters?” With gutters, comes a good bit of maintenance and upkeep to keep them in the best condition possible and to insure they are operating properly. The most common of these issues is going to be the collection of fallen leaves clogging up your gutter system. When this happens, it will lead to a few different problems, all of which can end up being a pricey fix if it is not tackled right away. 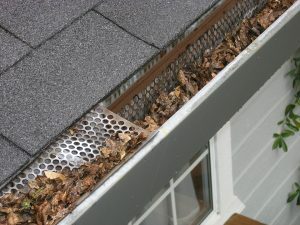 If the leaves clog up system, the water will still collecting in the gutter, and then spilling over the sides. Now, while it may seem like that is not that big of a deal, it very much can be. While you could just constantly clean out your gutters, that can be a very time consuming and painstaking process that would need to be repeated quite often. The best option is to install gutter guards on your gutter system. In this article we will discuss the different types of gutter guards and which would be best for which situation. Firstly, let us take a brief look at the reason we have gutters installed. Gutters are installed around the edge of our roof is to protect our house from water damage. From the top down lets touch on the big issues this can cause. Gutters help collect the water from off of the roof, which this, the water can seep under the shingles as it falls off the roof, which will lead to damage under the shingles. As the water falls down the side of the house, it can also seep between the siding and the house itself, also causing water damage. Lastly, but by far the most important is the protection of the homes foundation. When the water is not properly diverted away from the foundation it can cause erosion of the soil around the foundation, which can even further lead to flooding around the foundation. The constant presence of water will lead to cracks in the foundation, causing flooding of the basement or crawlspace, bringing it into your home which can lead to a whole lot of other issues. Screens: Screens are one of the more common types of gutters guards. They come in a variety of shapes and materials and can be installed a few different ways. Mostly they can just be dropped into the gutter, one side slipping under the edge of the shingles and the other side against the edge of the gutter. The plastic screens often require no type of fastening. The downside to this is that they are not always as secure. Other screens also fit under the edge of the shingles, but is often fastened on the other side against the gutter itself, which is a more secure option. These screens are common and can be a good choice because they are not as expensive as other types of guards. They keep out larger leaves and debris. They are readily available at many home improvement stores. They are easy to install and works with a variety of roof types including shingles, steel, slate, wood and tile. The downside is that the plastic screens can be damaged by exposure to UV sunlight. Branches, snow, ice and strong winds can damage the screens. The screens do have openings large enough that they can occasionally get clogged with pine needles and seeds. There are limited color choices. The screens and gutters will still require regular cleaning and maintenance and can be difficult to clean. Surface Tension: Surface tension guards operate so that the water will cling to the rounded nose of the guard, causing the water to flow into the gutter while leaving leaves and other debris to fall off over the edge. Small debris may still occasionally get in but is usually washed down the downspouts without much of an issue. Surface tension guards work best if installed so that the slope of the guard is similar to that of the roof. The gutters may need to be rehung to allow for proper angling so that the water continues to flow down and out. Some of the Pros to installing this type of guard are that they withstand branches, snow, ice and strong winds. These types of guards require little to no maintenance if they are installed properly, and are long lasting. With all positive attributes, they are not without their drawbacks. These include the fact that they are the most expensive option. They are also not as readily available, meaning they may have to be ordered. They are more difficult to install, and the fact that gutters may have to be rehung to accommodate this guard. 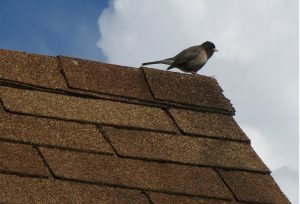 They are more visible from the ground and may not be an option on some roofs such as steel, tile, slate or wood roofs. Water can also shoot over the guards if there is a heavy downpour. Fine Mesh: These guards function much like the screen guards, but they block all except for the smallest of debris. The spaces in the mesh are so tiny that they will not clog with seeds and needles, but can still fill with the very very small particles like shingle grit. Fine Mesh guards will still need an occasional cleaning, but it is not nearly as intensive as other options and they are easy to blow or brush clean. They are installed under the shingles, or bend the back up and screw it into the fascia. This method also strengthens the gutters themselves, making them hold up better to snow and ice. So, Pros are that these gutter guards keep everything out of the gutter. There are also higher quality version that hold up well to branches snow, ice and strong winds. They are easy to install and work with various roof times. As with the tension guards, these are not as readily available but do require very little maintenance and cleaning. Installing or replacing your gutter system can seem like a pretty hefty undertaking, but it us a very necessary one. The gutter system is specifically designed to collect and lead water away from the house, and most importantly the foundation. Without gutters water will drain down the side of your house and settle around the foundation, causing erosion of the the soil and eventually cracks until the foundation wall. 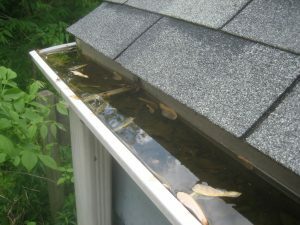 The same thing can happen if your gutters are clogged or damage. Leaves and other debris will enter the gutter system, altering or stopping the water flow which can lead to damage of the gutter system and the drainage of water along the house. This is why no matter the cost, it is always a good idea to keep your gutter system maintained and if necessary, replace them. Here we will take a look at the different types of gutter systems and their cost. Galvanized Aluminum Gutters: Aluminum gutters will range in price from $4 to $6 per foot. These gutters run more toward the middle of the cost spectrum, yet they still hold a lot of advantages. Aluminum gutters are durable, and can be used as fascia boards. They require very little maintenance and can withstand extreme temperatures both hot and cold. Although they can hold up to extreme temperatures, a rapid change in temperature will cause cracks. And as with some other gutters, they do clog very easily with fallen leaves and other debris so it is always a good idea to add gutter guards to the cost of any gutter system. 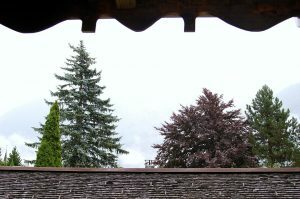 Different type of gutter guards are available according to your need like the trees around your house. When it comes to pine needles, you need guard screens with smaller openings. Vinyl Gutters: Vinyl gutters are the least expensive, costing as little as $4 to $8 per foot, rarely do the more expensive options cost any more than $8. Vinyl gutters are an affordable and lightweight option, coming in a variety of colors. One major downfall of vinyl is that they are not durable in cold weather, and can in fact snap when temperature drop below 10 degrees Fahrenheit. 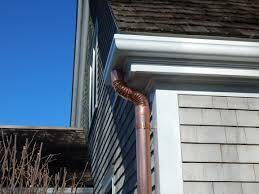 Copper Gutters: Copper gutters are the highest quality gutters available on the market but that comes at a cost. They run between $15 on up to $25 per foot. Copper is the most durable gutter, and while it is the most expensive, they do have a much longer lifespan. They are also made from nearly 40% previously recycled material, meaning there is less wasted involved in the manufacturing. Also, copper is a material that many people like to steal, so it can be can be a fairly risky proposition to keep in your house. Steel: Steel gutters are the next step up from Vinyl or Aluminum, and run between $4 and $8 a foot. 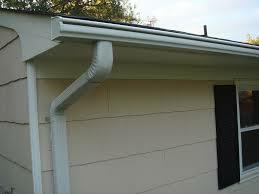 These gutters are a great choice if you need a gutter that can hold a lot of weight. This is especially helpful if you live in a house that is surrounded by a lot of trees or sees a lot of rain. Due to its ability to hold more weight, they do not need to be cleaned as often, though it is still recommended to clean them. But, like all steel it can rust overtime so you will need to keep a constant eye on the gutters. Let’s break it down and take a look at an approximate cost for installing gutters. You have a house that requires a gutter system of around 100 feet. The type of gutters you have picked is a K style aluminum gutter system. The price of materials will run you between $401 and $493, when ordering a 100 feet of gutter, you will want to add in a few extra feet for the supplies due to any cuts that may need to be made or any other issues that may arise. For the labor you will be looking between about $250 and $390. The labor for gutter installs should entail favorable site conditions, layout, fabrication and security of rain gutters to roof. Also consider adding gutter guards. It is also necessary to set the proper drainage slope. Sealing the corners and edges as well as any preparation,protection, setup and cleanup of materials. The total cost using the above example should be somewhere between $680 and $907. It is also important to take into account that there will be a fee for the removal of the gutters that are presently on the house, which will run somewhere between about $81 and $177. So if you are looking into replacing your gutters, it is a good idea to aim on the higher end of the estimate. That way you can make sure you get the best service and materials, without having any surprises in the end. Gutter guards are an essential part of any gutter system, and this is especially true when your house has trees around it. Without gutter guards, leaves and other debris will begin to accumulate and eventually clog up your gutter system. You will constantly have to clean out your gutters, be it you doing it yourself with a ladder or hiring someone to come clean them. If they are not maintained then it can cause a buildup and will hold water, leading to an even further build that can lead to the gutters cracking or breaking, allowing the water to fall directly against the house and settle down and around the foundation. This can eventually lead to crack in the foundation and flooding in the basement or crawlspace leading to many and eventually costly problems. When it comes to pine needles, just any old gutter guard will not do the trick. Because pine needles are thin and long, they tend to fall into the larger openings of some of the available gutter guards. Even the smaller openings on some guards leave too large an opening for pine needles. This can cause a problem. If enough pine needles get through the openings, the gutter system can become clogged causing leakage and gutter damage. So before you go out and purchase the best gutter guards in the market, take a look around your house to see what type of trees you have near your house. The common guards consisting of plaster or metal mesh will be fine in keeping any type of leaves out of your gutter but may not be effective against pine needles. Because they are long and thin they will most often fall into the holes of the screen. From there they will start to stick and accumulate inside the gutter system affecting the flow of water. The needles may not seem capable of that much damage, but just imaging all of the needles that you will see fall off a pine tree. Imagine how much of those could slip through the cracks, accumulate inside the gutter system, clogging the gutters and blocking the flow of water. This adds weight and causes the water to spill over the side of the gutters, completely by passing the usefulness for the gutter system. This, like mentioned before, can lead to significant damage to the siding and foundation of the house, and possible flooding inside of the house. Many people will try using the foam gutter guards. These are long pieces of foam that slip into the gutter itself, therefore blocking any large or significant leaves and debris from sticking and accumulating inside the gutter system.. The needles themselves can not penetrate foam gutter guards, but they do get stuck in the top surface, which will then trap other debris that is falling off of the roof. Pulling the needles out of the foam is a very difficult task, especially while working from a ladder. If you do not have any large trees around, this may prove a cheap option, but it will still require a good bit of maintenance as the leaves and most importantly pine needles will get stuck to the foam itself, leading to the damage we have discussed above. 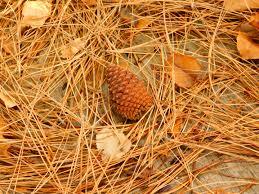 This leads us to the best option for fending off pine needles, and other small debris, such as shingle settlement. It is an aluminum structure which consists of a series of channels that are separated by gaps covered with a fine mesh stainless steel cloth. The water will readily pass through the mesh, but it leaves out virtually all solid matter. Instead, the solid matter will sit on top of the mesh until it is washed off. The construction of the guard is such that the mesh will not sag, so the debris never collects. They even have an option to install a heat strip to prevent ice dams from gathering in the colder weather. A very important thing to always keep in mind with your gutters, even with the use of gutter guards, is to make sure to keep them cleaned. Even with the gutter guards, some debris and pine needles can accumulate on or around the gutter guards. Maintaining your gutter system. is the most foolproof way to ensure it is operating at its best, and keeping the water away from your siding and the foundation of your house. Short answer is yes. Gutters are an absolutely vital part of any house. People often wonder if gutters are actually needed. Without gutters, the rain would fall off the roof, yes, but instead of being lead to designated safe areas away from the house, it will drop down right alongside the house. This can and will cause a whole host of issues. In this article, we will discuss the reasons a house needs gutters, and also address a few upkeep and maintenance ideas you want to keep in mind. First we are going to discuss why gutters are so important. One of the main, and possible most important issue is that not having gutters causes the collecting of water right against the house. Many people think ‘Well, if I do not have a gutter system, the rain is just going to drain right off the roof, just as it would with a gutter system, right?” That is a big no. The gutter systems are specifically designed to collect and divert water away from the house, especially away from the foundation. Your gutter system is your homes main source of soil erosion control for your foundation. Having the water just drain right off the roof will cause the water to collect right around the foundation, leading to many and eventually costly problems which may amount to more than the price of putting up a gutter. The water will begin to erode the soil that is surrounding the foundation, eventually causing cracks. This will also cause more water collection, leading to possible leaks going into the basement, crawl space, or it will just begin to fill over a concrete floor. Once a leak starts, believe it or not that is still just the beginning of any possible problems. With a leak, you are already going to have to look into the issue of the water eroding the soil, finding and patching any leaks in the foundation. This is because the water will often dig in and erode at the whole area, leading to pricey fixes of the foundation. Now, once the water is inside this will lead to rotting of the interior of the house, even within the walls which becomes a very costly fix. Other than the rotting, the moisture inside the house can lead to mold growth, moist air leading to condensation forming on the interior of the windows. This happens especially in the winter when you use the heat because the water that has entered the house will evaporate into the air, and then collect on the walls, windows and everywhere. It is extremely important to keep the interior as dry and leak free as possible. Other issues include water getting underneath the shingles on the roof. 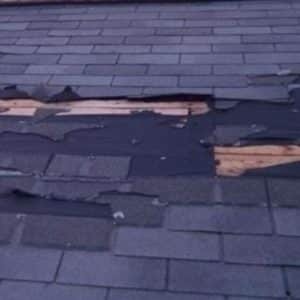 If the water is not properly diverted, this will occur and will lead to roof damage such as wood rot, and any materials that lie between your house and the shingles could be damaged as well. Aside from roof damage, the water running down the side of the house can do a decent amount of damage as well. The water can get underneath the siding of the house, if the house has siding. This can cause additional rotting and other issues due to the fact the moisture will get trapped between the siding and the house itself. This will also increase erosion in some places. For example, a brick house may have erosion and then have a “rusting” effect that may occur afterwards. Here we will discuss exactly what it is the gutter system will do to help prevent the above issues. The gutter system is designed to collect and divert water flow away from the roof, siding, and most importantly the foundation. When it is raining, the water will drain down the roof, being collected into the guitars that hang just under the edge of the roof. The water will then flow into one of the many downspouts, that will run the water down and away from the foundation, often into a designated path. This is what prevents most of the issues we have talked about in this article. Now that you have a better idea of importance of a good gutter system, keep in mind that gutters also causes clogging when full of leaves and other debris so maintenance is extremely important to prevent any unnecessary issues and extra costs. The decision on what type of gutter guards to purchase on the market depends on the type of trees you have around your house because if you have mostly pine trees, then you will have to worry on the pine needles getting through the mesh of your gutter guards. As you can see, having a functional gutter system can prevent water damage to your roof which can cause rot and also cause deterioration and mold to the shingles, soffit, fascia and masonry. It will also prevent moisture in the windows caused by condensation, damaged sills or interior walls. The gutter system will also prevent water along the foundation which can cause erosion, further damaging your foundation and causing basement flooding. How Much Does a New Metal Roof Increase Home Value? Metal roofs can increase the home value of a home for a variety of reasons. It is a higher upfront cost, they last longer and require less maintenance over time. Metal roofs hold life span on about 50 years, whereas its shingle counterparts last around 20 to 25 years. They also add the value of a home for its usefulness, energy efficiency, life span, and requires less maintenance. Dustin Johnson Roofing & Exteriors provide home and business owners choose the best metal roofing product for their residential or commercial properties. According to a 2012 study by Homewyse, the average metal roof installation will run between $10,000 an $13,000. This translates to about $9.38 a square foot, which is a great deal more compared to a shingle roof which will run you about $3.41. Now to talk about how this affects the resale value. A metal roof can net you an additional 1 to 6 percent on the resale value when compared to shingles. In some regions, the homeowner can recoup up to about 95 percent of the install amount of a metal roof. Below we will discuss a few of the reasons one may choose metal roofing over asphalt shingles. Shingles may be more cost-effective up front and are often more acceptable aesthetically, but metal roofs to hold a host of benefits. Often times a shingle roof is required in a lot of neighborhoods do to HOA and other neighborhood rules. Metal roofing is easily the strongest when compared to the other types of roofing materials available. When installed properly metal roofing can withstand strong winds, hard rains, snow, hail and ice, extreme cold and heat. Fire resistance is also a major point to discuss in metal roofing. This is important especially around areas where wildfires are prevalent. Hot ashes or embers fall on a metal roof, it is much much less likely to catch fire than shingle roofing. Metal Roofs are also more environmentally friendly, which is evident in the following ways. It is highly recyclable. This means that the leftover pieces, tear-off panels, and damaged parts can be saved for future use. There are metal coils and sheets that are comprised of previously recycled materials. Actually, 95% of aluminum roofing is already made of recycled materials. Energy Efficiency is another selling point, you can choose from a variety of Energy Star rated colors and finishes for metal roofs. It is also easier to mount energy-saving equipment such as solar panels using clamps for a metal roof. They are also lower maintenance than other roofing options. Metal roofing can also increase the property value since metal roofing lasts longer. This does, however, require a higher upfront charge for installation and materials. It is easier to retrofit over an old roof, which can help you save some money. This can help reduce the amount of waste that eventually goes into a landfill. Overall yes metal does increase the resale value, it really comes down to preference locations, needs, etc… Metal is more upfront but has a longer lifespan, meaning it will hold its resale value a little longer. Metal is about three times the cost of shingles up front though, which is a cost most people just do not want to put down. The best thing to do is call our roofing specialist and discuss your needs, concerns, wants, all of that with our roofing specialist. That will be the best way to ensure that you get all the information you need and get the best install needed. Here at Dustin Johnson Exteriors , we provide a guide and will discuss some of the replacement packages for both roofs and gutters. Here we go through a few options with an average cost of materials and install. For a more exact quote, please call so that we can break it down based on your individual needs. First, we will discuss detail about gutters, from maintenance to replacement including detail on lifespan. We will then move into roofing details, ranging from lifespan to cost of repair and replacement, touching on the different types of roofing materials as well. Firstly, let’s discuss the national average for gutter installation. To install galvanized or aluminum gutters, the average cost ranges from $4 to $9 per foot. Vinyl gutters are also an option, and can be easier . They run between $3 and $5 per foot. To try and give you an average total, 125 to 200 feet of gutters can run you between $1050 to $2400 depending on options actual cost and options. Note that this is for the materials alone. Labor can vary,but on average it take approximately seven hours to install a 50 foot section, leaving an average three day install to cost about $2200. Gutter drainage will usually run about $160. Removing old gutters and disposing of them usually adds an additional $100. It runs an average of $90 to clean your gutters, which is recommended to do often so they do not clog and cause any further issues or backups. Here are some signs to keep an eye on to let you know if your gutters need replacing. Leaking gutters can cause a multitude of issues. Gutters can leak for many different reason such as being clogged, damaged or worn. Water leaking into the basement, mold in the basement, gutters sagging, standing water in your gutters, rusted gutters, paint peeling, gutters being bent dented or cracked, finding nails or broken fasteners on the ground or finding gaps in the gutter where they are connected. According to Angies list the average cost to remove and replace the roof with asphalt shingles cost between $120 and $400 per 100 square feet. The cost for wood shingles is between $630 and $870 per 100 square feet. Materials for metal roofs can cost up to $1800 for 100 square feet. Slate, being the most expensive option runs about $800 to $4000 per 100 square feet. There are also 3-Tab Shingles and Dimensional Shingles. 3-Tab hs about a 25 year lifespan and costs around $150 to $200 per square foot, There are variations of 3-tab shingles such as ice and water shields, nails, ridge-vent and roof flashing details. Dimensional shingles cost around $225 to $300 per square foot. They cost a bit more but are a thicker shingle with a longer lifespan, lasting upwards of about 30 years. The life span does vary a bit depending on which material you use for your roof. Asphalt shingles can last 30 years or more, while metal, tile, and slate may last for 50 years or more. The price above are just an average cost and will vary depending on a number of variables, so use this strictly as a guideline. 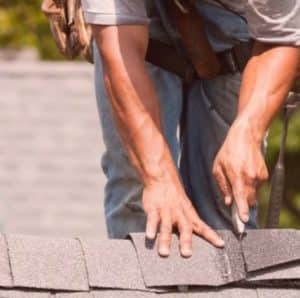 It is best that you call with any particular questions as someone will be able to give you a much more accurate quote depending on type of shingle,location, size of repair or cost of redoing the entire roof . We can quickly touch on average cost for a roof repair. Again, this is just a national average grabbed from researching multiple different options, so for a more accurate quote, you will want to contact us regarding your specific needs. Minor repairs can run ou $150 to $400. A moderate repair can run anywhere from $400 t $1000,while major repairs will cost anywhere between $1000 to $3000 and above. Usually anything over $3000, you are looking more at replacing your entire roof, but it is not that uncommon for the costs to exceed the $3000 based on many different variables. Tile Roof vs Asphalt Shingles – Which Type of Roofing is Better? Tile shingles hold many benefits, they are made of a more durable material, often clay, sand, or concrete. They are fixed to the roof by “hanging” them from nails and are hung in rows, each one overlapping the row before. This is done to keep the rain flowing down over the tile and preventing it from seeping under the tile, keeping out any possibility of damage to the framework. There are also special tiles or make sure the entirety of the roof is covered such as a ridge, hip and valley tiles. Tile shingles have a much longer lifespan, running approximately 50 years with proper maintenance. This is due to the tiles resistance to sun damage, insect damage and rot. Water will not decay a tile roof which also helps with its longevity. While tile shingles hold many benefits over asphalt shingles, there are also issues that need to be accounted for. Weight is the largest of these issues. Many homes just are not able to support the weight of the concrete or clay tiles without further reinforcement of the roof. This also means if you want to add a tile roof to your house, you will have to spend the extra money to add to the structural integrity of your existing roof. Tiles can also chip and/or shatter, which adds to any repair costs as you will have to call out a roofer to correct any issues that arise so that not further damage to your house is caused. 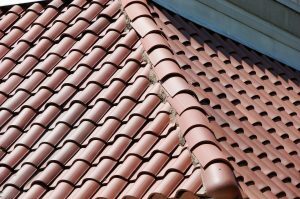 One major point to keep in mind with tile roofing is that even though the tiles themselves have a longer lifespan (50 years) they underlayment (the base in which the tiles sit on) needs to be replaced every 10 years. This process includes removing all of the tiles, removed the old underlayment and replacing it with a new one,then replacing all of the tiles. This adds a major expense just for the maintenance of a tile roof. Terracotta tiles: cost is between $6 and $15 per square foot. One of the most durable options. Asphalt Shingles are the most affordable and versatile option. They come in many different colors and 3 main styles. The first we will discuss is 3-Tab which are the most basic and affordable and in the right conditions can last a cope of decades. The problem with these is that there are fewer options as far as aesthetics are concerned, they have a higher chance of blowing off and a shorter life span than other asphalt shingles. Second option will be the dimensional shingle. Dimensional shingles are made of two or more layers. Multiple layers makes the shingles much more durable. Many homeowners pick the dimensional shingles for their aesthetics and due to the fact that they can last 30 years, even longer in the right conditions. They are more expensive than the 3-tab shingles. The third type is the Luxury Asphalt shingle. These have multi-dimensional appearance, they are the strongest shingle. They go best on period style homes where the homeowner tries to replicate a slate style roof. They do weigh a bit more, being layered they can weigh twice as much as a square of basic 3-tab shingles. This does however add extra strength and protections against the elements including extreme weather. Your roof is one of the crucial home features that protect you from environmental setbacks, and also helps in preserving the overall structural integrity of your property. For that, matter regular maintenance rendered by a reputable roof replacement contractor in Austin should be observed by a homeowner or any property owner to extend the usable lifespan of their roofing system. A roof maintenance need not be that expensive and complicated. There are a number of simple ways on how you may drastically improve the lifespan of your roof without shelling out to much cash. And here are some of the tips you should take note of. 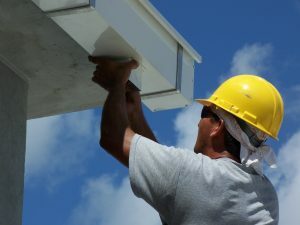 As a roofing contractor Austin tx – Most homeowners do not realize the connection and importance of the gutter’s role in your roofing system. 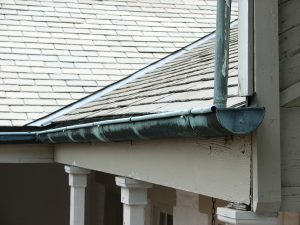 Your gutter serves as an assistant to your roof, especially during the rainy or snowy season. Gutters and your downspouts channel the water away from your roof and your property’s foundation in order to prevent decay and even structural collapse. That is why when you have an uncleaned gutter, full of dirt and debris such as twigs, leaves, and even small dead animals, you might be in for a very expensive water leak and damage. Aside from that, you are also endangering the stability of your roofing system, for any backflow or stagnation of water on your gutter will soon find its way towards your interior roofing. Hence, leading to early deterioration, which in turn could result in an expensive roof replacement process. If you want to avoid such a costly mistake, you better contact a roofing contractor that also specializes in gutter cleaning and maintenance as part of their roofing services. In order for you to know what are the minor issues on your roofing system, it is always good to have a regular roof inspection. Although a DIY roof inspection is a good idea, having an expert roofing contractor perform a thorough and systematic roof inspection is way better. They have the experience, equipment, and expertise to determine even the minute issues of your roofing system. Hence, allowing immediate action to prevent early deterioration of your roofing. They will be able to check hard to reach areas, such as your roof edge and uncommon parts of your roof. If you desire convenience and safety, it would be good to leave roof inspection to expert roofers here in Austin, Texas, like Dustin Johnson Exteriors & Roofing. Apart from cleaning and inspection, you may also lengthen the lifespan of your roof by having proper ventilation and adequate insulation. You should not neglect the importance of ventilation and insulation. Although they might not be as damaging compared to punctured roofing, poor insulation and ventilation could still contribute to the gradual and consistent decay of your property. Therefore, undermining the longevity of your roofing and causing roof repair or even costly roof replacement. If you really value your roof or your property in its entirety, it would always be good to maintain regular inspection in order to keep it free from extensive damages. Apart from the ones mentioned above, there are other methods or ways of extending the lifespan of your roof. Call an expert roofing contractor for advice and expert suggestions. Furthermore, watch here below some tips from Lowe’s Home Improvement concerning DIY gutter cleaning. If you have a property or home that is newly constructed, one of your considerations would be the best roofing material for the roof installation process. Although Dustin Johnson Exteriors & Roofing will suggest a roofing material to be installed on your home or even business, it would still be good to have an overview on the different roofing options in the market today. This will not only give you an idea of what your property will look like using certain roofing material, but it will also give you a heads up of its longevity. To widen your horizon, we have highlighted below some of the best roofing materials you may use for your roofing installation project. This is perhaps one of the widely used roofing materials in the country today. Composite shingles are highly sought by property owners and also favored by roofing contractors in Austin, Texas because apart from its very affordable price, it is also quite easy to install. However, in terms of longevity prediction, composite or asphalt shingles vary because of different qualities that each brand and manufacturers claims. 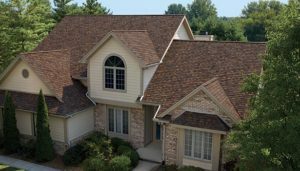 In general composite shingles are known to last around 15 to 50 years, depending on the brand and installation process. One of the highly trusted brands in the roofing industry, which Dustin Johnson Exteriors & Roofing also specializes on, is the Owens Corning. Such roofing shingle comes not just with durable components but also of high-end warranty. Metal roofs or the standing seam metal roofing is considered as one of the robust roofing materials that could be your home’s overhead. It is preferred by homeowners or even business owners because of its portability and durability at the same time. Similarly, it requires low maintenance and is also very energy efficient. And it’s also expected to last around 30 to 50 years. Since it is made up of metal, it can reflect a greater share of the sun’s rays. Aside from that, the metal roofs in the market today also have a great number of styles available, as well as varying colors, and textures. 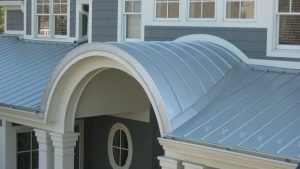 However, when choosing metal roof as your roofing materials of choice for your roofing installation project, it would be good to contact a roofing contractor that specializes in metal roofing installation, for an average roofing company might not be able to sufficiently observe the proper installation process and requirements of such roofing material. If you are really seeking for the best value for money, in terms of longevity, you might want to check on the slate roofing material. Slate roofing is believed to last more than a hundred years, making other roofing materials as if they are paper. However, since slate is made up of real stones, it should be noted that your newly constructed property should be able support the said roofing materials weight. Most roofing contractors would suggest this very durable roofing material to properties that have adequate truss strength to carry such heavy load. Those are some of the most durable roofing materials that you might want to consider for your home roofing installation project. However, apart from the longevity of the roofing material, you should also consider other factors for roof installation, such as your home’s style and design, your area, your lifestyle, and most especially your budget. Aside from that, other future roofing services should also be taken into account when choosing a roofing material, including future roof replacement, roof repair, and roof maintenance. Furthermore, you may also watch below a simpler explanation concerning roofing system from our colleagues at Owens Corning, for added knowledge. The role of your roofing system is crucial to the safety and protection of your person and property. As a premier roofing contractor in Austin, Texas, we are a firm believer that every homeowner or property manager should realize the importance of regular roof maintenance service for their roofing system. However, it is sad to note that some homeowners are unaware or simply chose to ignore the benefit of having regular roof maintenance schedule. If you are one of those property owners who take for granted the importance of regular roof maintenance, you should try to read below some of its known benefits. Similar to your appliances or even your vehicle, a maintenance will have a positive impact on its longevity, especially if done regularly. This also means that a roof maintenance could dictate the potential necessity of either roof repair or replacement, which is a known contributory factor for the increase of the usable lifespan of your roofing system. In terms of its frequency, the frequency of a roof inspection and maintenance will largely depend on various factors, including but not limited to weather condition, the age of your roof, and other roofing issues which were identified in the previous inspection. As what was mentioned above, there are some property owners who tend to neglect to perform a roof maintenance. They mostly focus on the interior and other exterior components of a property that is easily or frequently seen and used. Most of these property owners forgot that the roofing above their head is also a good curb appeal item. By having regular maintenance, you will easily address any roofing issue before it gets worse. And with that, your roofing system’s aesthetic appeal will definitely improve and be maintained over the coming years of your life. Another reason why you should consider a regular roof maintenance service is the fact that through such process, you can identify hidden issues of your roofing and evaluate the necessary actions to take. In just a single year, there would be numerous environmental setbacks that may have damaged your roofing or caused for it to deteriorate without you knowing. When you regularly initialize a maintenance check-up on your roofing system, you can easily observe the changes on your roof and the negative changes that bring forth other roofing issues, such as leaks, punctures, and the likes. You might not know this, but with a regular maintenance service to your roofing, you are actually helping decrease the roofing wastes, such as asphalt shingles, from reaching landfills. The reason behind is that with a regular maintenance service, you will identify damaged roofing materials, including shingles, and replace it immediately. Hence, avoiding total roof replacement or complex roofing project. As a result, less waste is being produced by your property, for damages and immediate fix are being performed with the help of your regular roof maintenance. If you truly care for your property, whether it is residential or commercial, you should learn to practice overall maintenance, starting from the top. With a regular roof maintenance, early roof replacement and recurring roofing issues will be avoided. Here in Austin Texas, you can always rely on Dustin Johnson Exteriors & Roofing for immediate roofing services and assistance. Aside from that, we also offer not just maintenance, but also repair, installation, and even replacement of your gutter, siding, garage door, and windows when needed. Call us today at (512) 337-2661 or visit us at 901 S MoPac, Expy building 1, #300 Austin, TX 78746 for a personal consultation. Contact Us Today!